Recently I spent an afternoon with Agustin Huneeus at his home in San Francisco. Huneeus may not enjoy the high profile of some California wine veterans. But he has played his part in shaping today’s New World wine scene, with a long career in both South and North America. Respected in California’s wine world for his energy and business acumen, Huneeus was first connected to wine on the West Coast – while still living in New York – as president of Seagram-owned Paul Masson. Since making his decision, in 1977, to leave Seagram and live in California, his involvement has included everything from Central Valley bulk wine production (Noble Vineyards) to the ownership and management of small wineries as varied as Concannon in Livermore Valley; Mount Veeder, on Mount Veeder; Flower Estate, on the edge of the Sonoma Coast; and Franciscan Estate in Oakville. He has also been involved with joint ventures, limited-production cuvées, small-vineyard production, and as proprietor, with his wife Valeria, of Quintessa, a large estate in Rutherford. Recently, he has become involved in the Washington State production of Pirouette, a Bordeaux blend made as part of Alan Shoup’s Long Shadows venture. 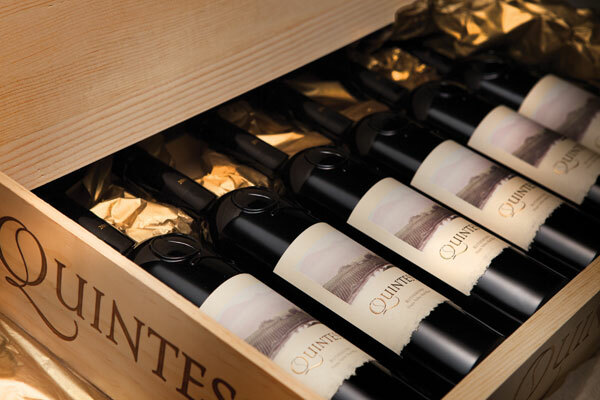 Since the late 1980s, Huneeus has also played an important role in the revival of Chilean viticulture and in its success on the world stage. In particular, he was instrumental in the development of the Casablanca Valley, where he and Valeria created the Veramonte estate and winery. 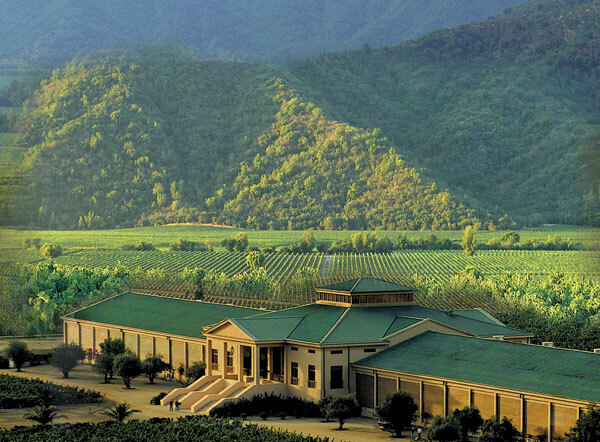 In recognition of his contribution to Chile’s viticulture (and economy), in 2010 he received a knighthood in the Order for Meritorious Service to the Republic. He had celebrated his 81st birthday the day before I sat down with him. His son, also Agustin, 47, began taking over his father’s business responsibilities a few years ago, yet Huneeus Sr is still as lithe, sharp and busy as a man half his age. As we talked, we retraced the path that had brought him from his native Chile to California. ‘I knew nothing of wine, the wine trade or vineyards, but the job of managing the company fell to me. But spending your time in a winery and walking daily through the vines does something to you. I discovered, as I took a closer interest in what was going on, that much of the wine we produced was more than quite good. Yet no one cared because quality was not Concha y Toro’s business and everything went into the blending vats. Distribution of the wine in Colombia and Venezuela through Seagram distributors put him in touch with the corporation’s chairman, Edgar Bronfman, with whom he developed a good relationship. It was Bronfman who, when Huneeus was looking to broaden his horizons in 1971, first offered him a job running a major Seagram subsidiary in Argentina. And when that proved successful, invited him, in 1974, to New York to take on a newly created position of international vice-president of the corporation, with responsibility for all Seagram’s wine companies, from Paul Masson in California to Mumm Champagne and Barton & Guestier in France and Montana in New Zealand, among more than a dozen others. For the next four years Huneeus was constantly in the air to or from somewhere. He found it exhilarating (and exhausting), and learned more than he could have imagined. ‘Spending time in such dissimilar wine regions, I soon saw how the differences among their wines sprang directly from the basic connection between a wine and a place,’ he said. ‘Not just in the sense of French versus Italian, but in the way the character of a wine is always rooted in its place of origin. ‘I was also struck by the extent to which a wine’s quality – something hard to articulate, but easy enough to recognise on the palate – was usually an expression of the passion of whoever was responsible for making it. If the company’s original owner was still in charge of the winery, that passion was palpable. He knew his vineyards and understood instinctively how to respond to every changed circumstance – even when he must take risks to get the result he wanted. ‘It wasn’t obvious to me what advantage we brought with our extra layer of corporate management, and I could sometimes feel the frustration in former owners when they felt themselves losing autonomy and becoming corporate cogs. But if the owner left, the passion went with him and the result was predictable. When Huneeus resigned from Seagram in 1977, the move to California seemed the obvious next step. Valeria was an experienced viticulturist with a PhD in microbiology, and they both wanted to get back to a direct, personal involvement with vineyards and winemaking. He had an opportunity to acquire, with partners, Noble Vineyards in California’s Central Valley, with about 1,010 hectares. It was the era of California jug wines. Every winery at that time, even in Napa, had to offer a basic, low-cost wine as a door opener. Noble Vineyards made a more than decent white that suited the purpose admirably. By 1985, Huneeus had sold his share of Noble Vineyards to his partners, and had acquired and built up Concannon, before selling it to a British company looking to get into California. It was at this point that he had a call from Peter Sichel in New York, asking whether he could help the Eckes family, friends in Germany. The Eckes had acquired the Franciscan estate and winery in Napa and were nunhappy with what was happening there. Sichel asked him if he could take a look and offer advice. Huneeus joined Franciscan Estate as the Eckes’ partner and, over time, the changes he made restored its name as a quality brand. But during the years he was busy at Franciscan, an hour’s drive north of the family home in San Francisco, Valeria was managing a small vineyard near Gilroy, more than an hour’s drive south. In 1990, they decided to sell the Gilroy vineyard and look for one in Napa. ‘We wanted raw land if possible, so we could start from scratch. Valeria heard of a substantial lot available in Rutherford near the Silverado Trail. The pair saw the possibilities in its steep slopes, varied exposures, and jumble of soils and they bought the property in 1990, calling it Quintessa. They set about planting it with Bordeaux varieties. ‘By then I’d already learned enough about Napa to understand why the particular character and quality of its wine – especially when based on Cabernet Sauvignon – places it among the leading wine regions of the world. ‘I’d learned that any fine wine always reflects its origin. I now know that origin is interpreted by the variety used. In musical terms, it’s the instrument by which the score of a place – its soil, is exposure, its climate – is expressed. So the variety must be the right instrument to do it. Then the place, the variety, and the wine are one. Isn’t that true of Meursault, or Pauillac, or Chinon? It has taken California a long time and much trial and error to find the right compatibilities. In Napa it is undoubtedly Cabernet Sauvignon. In Russian River and on the Sonoma Coast, it is Pinot Noir and Chardonnay. The Zinfandels of the Sierra foothills are both distinctive and unrivalled. It is this growing awareness of doing what is necessary to define the character and quality of each region of California that is leading it to world prominence.